Today’s dental materials are practically indistinguishable from real enamel in both appearance and strength, giving Dr. Sopel the ability to repair decayed and broken teeth in such a way that it looks like nothing was ever wrong with them. He is committed to only using the latest, most proven methods to treat his patients, so if you have one or more teeth in need of restoration, you can trust you’ll receive the absolute best here at Horseshoe Bay Dental. To schedule an appointment and start getting your smile back, contact us today. Why Choose Horseshoe Bay Dental for Restorative Dentistry? Large cavity? Fractured tooth? One or more missing teeth in a row? All of these issues can be easily fixed with dental crowns and bridges. 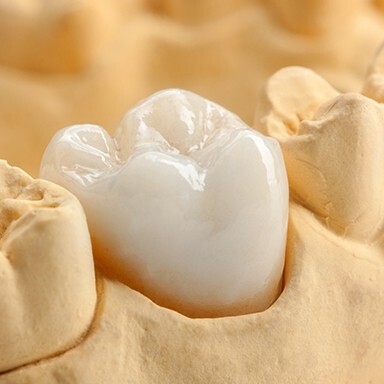 Crowns literally fit over the top of an injured tooth to restore its appearance and function, and they can even be used to support prosthetic teeth to bridge sizeable gaps. Our restorations are always custom-designed by Dr. Sopel to blend seamlessly into the smile, and they are often milled right here in the office (more on this below)! 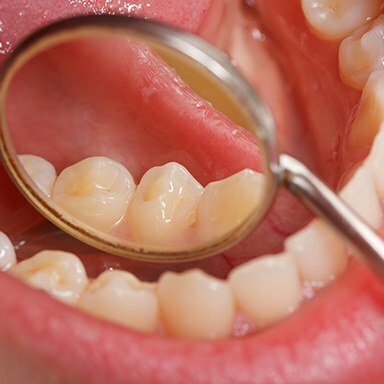 When a patient develops a minor cavity, a filling is usually the best answer. Instead of using dark gray amalgam fillings, Dr. Sopel is able to offer a more conservative and aesthetically-friendly option: tooth-colored fillings. 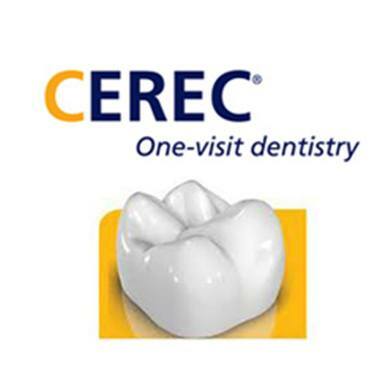 Made of a plastic-based composite resin, these can be perfectly matched to any patient’s enamel so the restoration itself becomes practically invisible within the mouth. And, because they are 100% metal-free, patients don’t experience an increase in temperature sensitivity. Getting a tooth repaired used to be quite the task. You’d have to attend at least two appointments, get a messy dental impression, and spend about a week wearing an unreliable temporary restoration. Thanks to our in-house CEREC technology, however, our patients never have to deal with these annoyances! With it, Dr. Sopel can scan your teeth, design your restoration, fabricate it, and place it all in one visit, helping you get what you need and back to your life in record time. Sometimes, a patient’s dental damage may be too extensive to solve with just one procedure – that’s where a custom full mouth reconstruction plan comes in. Dr. Sopel will work closely with you to determine the scope of your concerns and recommend treatments that will bring back your smile’s full durability, function, and aesthetic value. 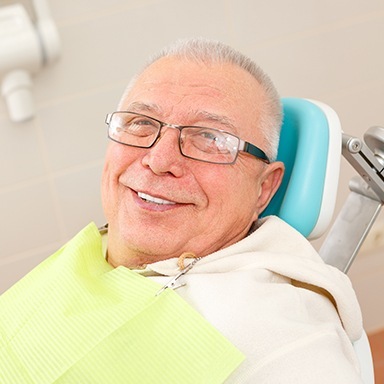 Several services may be recommended as a part of full mouth reconstruction, including dental crowns, bridges, dental implants, gum disease treatment, and root canal therapy. Several missing teeth can dramatically impact a person’s daily life, limiting their food choices and making regular speech all but impossible. 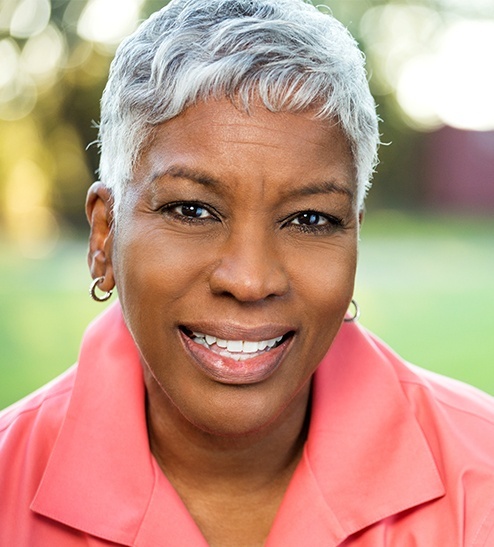 Thankfully, using a custom-made denture, Dr. Sopel can help patients in this situation recover their smiles and their confidence at the same time. 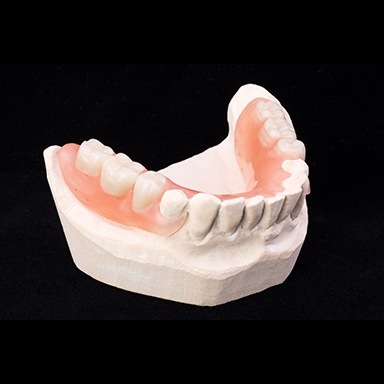 Partials can seamlessly replace teeth located throughout the mouth, while a full denture can bring back an entire row at once. Dr. Sopel can even secure a denture in place using dental implants so patients never have to worry about their prosthetic shifting.